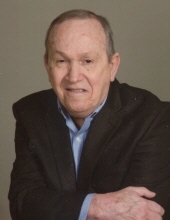 Darrell J. Litch, 74, passed away Thursday, April 4, 2019 at Baptist Health Floyd Hospital in New Albany, Indiana surrounded by family. He was born in Harrison County on December 6, 1944 the son of Marvin J. Sr. and Alliene L. Brown Litch. A 1962 graduate of Lanesville High School, Darrell served as reservist in the Indiana Air National Guard. He retired from Ford Motor Company in 2000 where he had worked the assembly line as a member of Local UAW 862. Darrell also was a member of the Thoroughbred Owners and Breeders Association, St Mary’s Catholic Church in Lanesville, IN and Knights of Columbus. He was a devoted husband, father and Catholic. Friends and family will miss their “Bood”, “Boody” and “Bo”. Darrell was preceded in death by his parents; Two brothers, Donald L. Litch and Marvin J. Jr..
Grandchildren, Josh and Caleb Happel, Taylor, Coleman, Faith and Wyatt Litch, Lily, Harper and Monroe Barr, and great grandchild to be, Jordan Happel. Also many aunts, uncles, cousins, nieces and nephews. A Mass of Christian Burial will take place at 11 AM, Tuesday, April 9, 2019 at St Mary’s Catholic Church in Lanesville, IN. Father Robert St. Martin will be presiding. Burial will follow in the church cemetery. Visitation will be Monday, April 8, 2019 from 2 PM until 8 PM at Gehlbach & Royse Funeral Home, 7420 Hwy 64, Georgetown, IN 47122. A rosary service will take place at 7:30 PM Monday to conclude visitation. Special thanks to Baptist Health Floyd, Baptist Home Health, Amedisys, Dr. Chowhan, Dr. Bittenbender, Dr. Hollis and Dr. Medley for all your help, assistance and kindness. It’s greatly appreciated. To send flowers or a remembrance gift to the family of Darrell J. Litch, please visit our Tribute Store. A rosary prayer service will begin at 7:30 PM. "Email Address" would like to share the life celebration of Darrell J. Litch. Click on the "link" to go to share a favorite memory or leave a condolence message for the family.